As we move towards Labor Day Weekend, I hope you were able to take advantage of summer and just take a break from it all; even if it was just for the day! I wanted to thank each of you for continuing – or for our newer families, for starting to! – entrust us with the care of your loved one in our day center or our early stage programs. We are thrilled to have you as part of the IMCC family and hope that you take full advantage of all the wonderful services that we have to offer, no matter what stage of the disease process you are in. From our many different support group options, to our diverse caregiver education programs, our consultation services, the SHARE Program, our Caregiver Cruise (one of my personal favorites! ), and so much more – it is our goal to not only provide care to the individual living with the diagnosis, but to our families, caregivers, and the community as well. 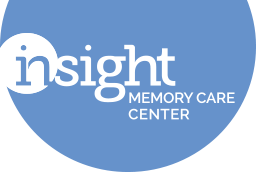 With that being said, Insight Memory Care Center is always evolving and looking for different ways to not only stay innovative in our care approaches, but how best to meet the needs of everyone! As you can imagine, this takes a lot of man (or woman)-power to accomplish this. This past year, we added eight different positions to help meet the ever-growing need. For our size organization, that is a fairly significant change in our organizational structure! We needed to add these new positions because of all the wonderful services we have started to offer. It has been a very short life-cycle from concept to implementation for many of these programs – and we aren’t slowing down! We are continuing to look at new and innovative services to offer to benefit the individual living with the diagnosis, ways to help caregivers provide the best care they can, and of course provide support and guidance through the disease process. As we all know, it is not easy. But the good news, Insight is here to help! The purpose of my letter to you today is to let you know that as we have grown and evolved over this past year and added some new positions, we needed to take a critical look at the organizational structure of Insight to ensure we are meeting needs in a sustainable manner. So, to make sure we are doing that while also preparing for how to respond for when we continue to expand, we had to make a few changes within our organizational structure. I wanted to take this opportunity to share them with you. As you know, currently Robin McGlothin is serving as the Assistant Director. Robin moved into this position when I relocated to Nashville in 2016 and we needed an on-site manager to handle the day-to-day operations of the center that I normally would handle, but could not do remotely. With the startling news this past April that Fairfax County was potentially pulling our funding, it made us more acutely aware of the need to put some dedicated efforts into our fundraising and advocacy, which the Board of Directors has echoed as well. Now while the board is undertaking their own efforts to help move our efforts forward, we needed to figure out how best to respond as staff. As Robin was previously our Director of Donor Development and has a background and passion for fundraising, it made sense that we move Robin’s focus from operations and some development, to all our philanthropic efforts. Starting August 14th, Robin will shift roles to our Director of Philanthropy. Looking at our programming, some work with consultants this past year made us realize that we needed to manage our center programs a little differently. We also looked internally to see who could best help us with advancing our day center programs, early stage programs, and education and support services forward, and the answer was quite clear. Also effective August 14th, Christi Clark will be shifting from her role as Director of Education and Support Services to Assistant Director. The Assistant Director job description has been adjusted to reflect these organizational changes, and she will be directly overseeing all operations for the day center, our early stage programs, and our education and support services. Previously, Christi was performing a lot of our education and support services herself, and in her new role, she will be providing management, direction, and support to those who will be running those programs and providing those services. In addition, Christi will be moving her office from the front lobby to be in the actual day center. She will be moving into the Media Room, which is adjacent to the Multi-Sensory Room and across the hall from our Therapy Room. Christi will be providing direct support to Joanne Nester (Program Director) and Vivian Coda (Director of Recreation Therapy) within the day center. She will also be providing oversight and support to Jessie Wilson for the early stage programs, and to Lynette Jacob (Support Services Coordinator). This has left a gap for someone who can provide the wonderful education programs that Christi has not only become known for giving, but what people come to expect from Insight. We are currently looking for a candidate to fill the re-developed Education and Outreach Coordinator position to take on those responsibilities. But fear not, Christi has assured me that she will still be out there doing presentations from time to time, just not ALL the time! Finally, from an administrative aspect, Maria Hoffman will transition to the Director of Finance and Administration where she will be providing overall administrative support and guidance for the team at Insight. A lot of what Maria does is “behind the curtain,” whereas Christi and Robin’s positions are directly impacting our participants and caregivers. But I assure you, managing our human resources, employee relations, compliance, and all our financial matters is just as important! So, if you have questions about your bill or the Financial Assistance Fund, you will still see Maria. The only real difference is that she is moving from the desk in the lobby to an actual office (next to the desk in the lobby!) Niki Tindall, our new Administrative Assistant will be taking over the desk in the lobby. So while this may seem like a lot of changes, and it is, I wanted to personally communicate them with you and assure you that Insight is committed to continually providing the quality services and programs that we have become known for. We are structuring ourselves so that we can continue to grow and expand to serve even more people who need our help. This decision was not taken lightly and a lot of thought and effort was put into figuring out how to best set Insight up for success. Christi, Maria, and Robin are key factors in helping us achieve that mission and vision. As always, if you have any questions, please feel free to contact me directly, or reach out to Christi, Robin, or Maria and we will do our best to answer any questions you may have.